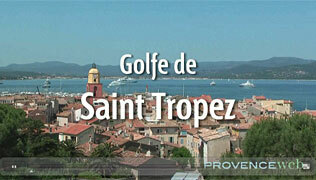 Situated on the coastal route D559 at the southern entrance to the peninsula of St. Tropez (12km.). 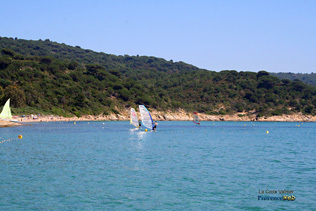 Between Le Lavandou (26km.) 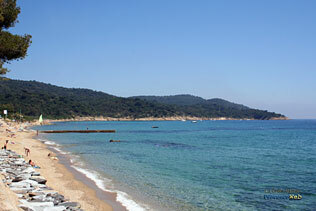 and St. Maxime (16km.). 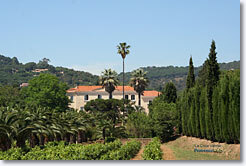 This summer resort is back to back with the clitf road of the Maures in a very green setting. The village has been able to keep its peace and traditions in spite of large groups of tourists. The town owns 220 ha. 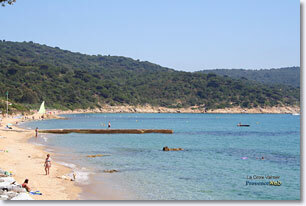 of nature reserves and is a magnificent place for walking in the woods and along the coast from Gigaro beach to Cap Lardier (the sentiers des douaniers). Water sports, bowling, horseback riding. Cyclo-tourism. Golf at Beauvallon. Tennis. Hiking. Bike riding. Municipal swimming pool, discotheques, cinemas. 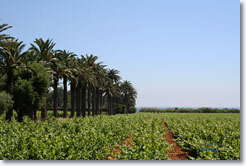 Sea viw and ancient vineyards can be seen from each room. Swimming pool. Certified Spirit Port Cros National Park. Rentals studio, apartments, cottage and mobil home on 15 ha park with panoramic views 2 km from the beach and 1 km walking from the village. 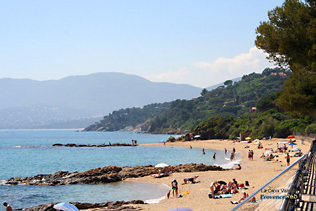 Gassin (6 km), Cavalaire(6 km), Ramatuelle (11 km).